The Cyclone III Video Development System is an ideal video processing platform for high-end video applications (including DVI and HDMI). 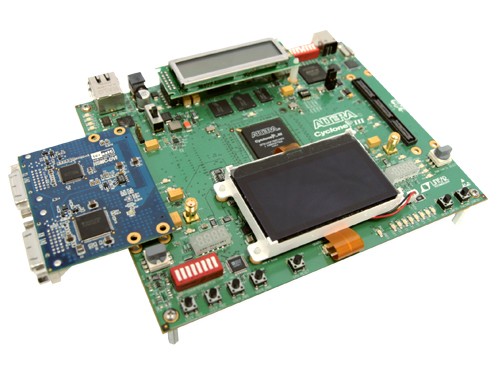 Terasic recognized for its strong design expertise in high-end video, imaging and multimedia products have made available a video development package that targets video processing development using a Cyclone III device. 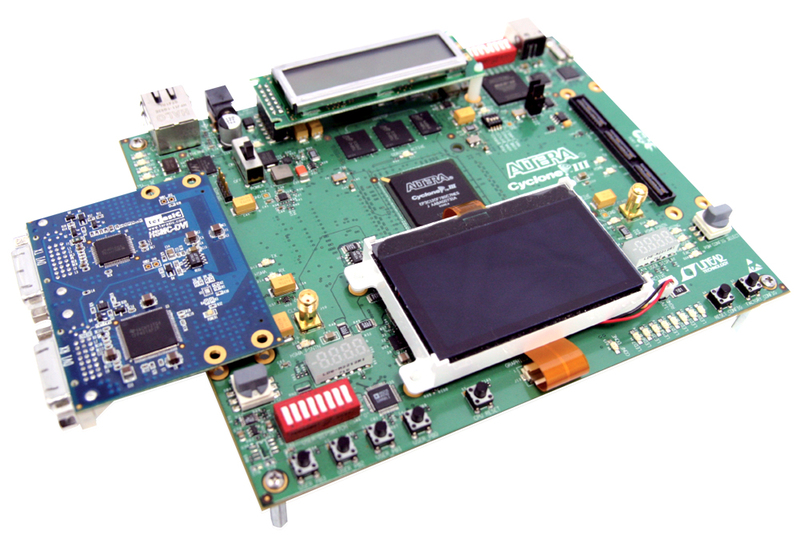 The package includes a Cyclone III FPGA development kit (DK-DEV-3C120N) featuring an EP3C120 FPGA device with two available HSMC connectors to allow additional functionality and connectivity via HSMC daughter boards. The development can also allow users to experience advanced image processing designs incorporating VIP (Altera’s Video and Image Processing Suite MegaCore Functions).